Exciting news, Mint Condition return with a new album on Shanachie Entertainment, Music @ The Speed Of Life. More info on the album below. MUSIC @ THE SPEED OF LIFE’S vibe and feel call to mind their timeless breakthrough hits “Pretty Brown Eyes” and “What Kind Of Man Would I Be,” while at the same time showcases their never ending quest to push their music forward. Along with Mint Condition’s bedrock funk and R&B balladry, elements of jazz, rock, and hip hop come into the mix. They have always delivered these elements live but here they are a part of their studio work. Nothing is formulaic or routine. MUSIC @ THE SPEED OF LIFEsounds like nothing else on the scene today, once again demonstrating that Mint Condition is one of those rare artists with their own unique sound. Highlights on the CD include the album’s lead single, “Believe in Us,” which is sure to find its way into the hearts of couples everywhere working hard to make it work and the funky head- nodder, “Girl of My Life,” which describes one of the band members’ experience as the odd man out in the search for love as he witnessed the rest of the band settling down. The track features DJ Jazzy Jeff and a riveting drum solo by Stokley. The unforgettable ballad, “Completely,” is about finally finding and accepting your place in life. 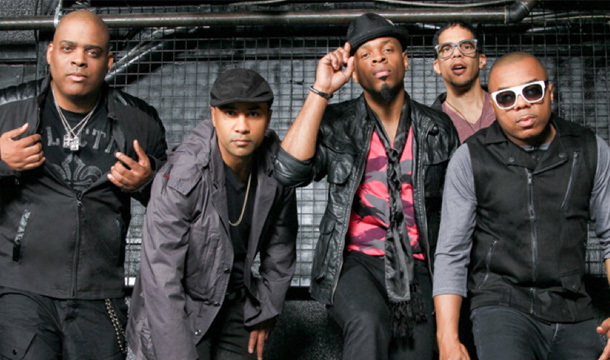 “It speaks to how we’ve synched up both in our respective personal lives and as a working band,” explains Mint Condition. The inviting and free flowing “649 Changes” is another stand out and features rapper Brother Ali and the M-Factory Horns lead by former Prince and Maceo Parker saxophonist Eric Leeds.